What Constitutes an “Adverse Employment Action” in the Context of FMLA Retaliation Claims? Forrest Gump famously compared life to a box of chocolates, and he is right that you never know what may happen. Life has a bad habit of interrupting your perfect plans at the wrong times. For this reason, the federal government allows all qualified employees to take If you have experienced unlawful retaliation, you should contact an attorney to discuss your possible legal claim unpaid leave under the Family and Medical Leave Act (“FMLA”). The FMLA also makes it illegal to retaliate against an employee for taking leave pursuant to the FMLA. 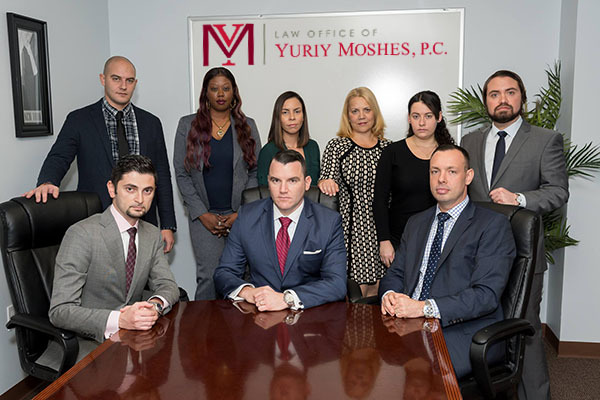 If you have experienced unlawful retaliation, you should get Employment Lawyers NYC free consultation to discuss your possible legal claim. Under federal law, an employer commits unlawful FMLA retaliation when it takes an adverse employment action against an employee in retaliation for taking FMLA leave. This article seeks to explain an adverse action in the FMLA retaliation context and explain how you can bring an FMLA retaliation claim if you have experienced retaliation. What Does Adverse Employment Action Mean? The employment laws of the United States generally protect employees from adverse employment actions taken in retaliation for reporting violations of the law. The same principle applies in the context of FMLA retaliation. The phrase “adverse employment action” seems vague, but it does have a specific definition. For purposes of an FMLA retaliation claim, the legal definition of an adverse employment action is “any action by the employer that is likely to dissuade a reasonable worker in the plaintiff’s position from exercising his legal rights.” Millea v. Metro-North R.R. Co., 658 F.3d 154, 164 (2d Cir. 2011). An adverse employment action is “more disruptive than a mere inconvenience or an alteration of job responsibilities.” Vega v. Hempstead Union Free Sch. Dist., 801 F.3d 72, 85 (2d Cir. 2015) (citation omitted). Examples of adverse employment actions include “termination of employment, a demotion evidenced by a decrease in wage or salary, a less distinguished title, a material loss of benefits, significantly diminished material responsibilities, or other indices unique to a particular situation.” Id. (citation omitted). “Only in limited circumstances does a single, acute incident of abuse qualify as an adverse employment action,” such as when the incident “constitute[s] an intolerable alteration of the plaintiff’s working conditions so as to substantially interfere with or impair his ability to do his job.” Mathirampuzha v. Potter, 548 F.3d 70, 78-79 (2d Cir. 2008) (citation omitted). This adverse employment action definition is based the objective standard of what would be reasonable treatment of employees under the circumstances. In Burlington Northern and Santa Fe Railway Co. v. White, 548 U.S. 53, 68 (2006), the Supreme Court of the United States settled the definition of adverse employment action. In that case, Ms. White, the Plaintiff, was a trained forklift operator, but was the only women employed by Burlington Northern who was qualified to do so. Many male employees shared the mistaken view that Ms. White had no business being a forklift operator because she was a woman. As a result, Ms. White was regularly teased and harassed on the job. When Ms.
White reported this gender-based harassment to her supervisors, she was moved from duties as a forklift operator to less desirable duties as a track laborer, which was a much more arduous job. She was also suspended for 37 days without pay, but was eventually reinstated and given full back pay. The United States Supreme Court held that this type of job reassignment is an adverse employment action. This definition of adverse employment action in this context has also been applied to FMLA retaliation claims. Given this adverse employment action definition, actions such as firing and demoting are adverse employment actions. In addition, other actions that are not job-determinative employment actions can also be considered adverse employment actions. For example, lateral transfers, unfavorable references, and the imposition of more burdensome work schedules, may also be considered adverse employment actions. This is because these actions are severe enough that they may deter an employee from exercising his or her rights under the FMLA. In E.E.O.C. v. Crown Zellerbach Corporation, the EEOC found that the defendant employer took an adverse employment action by suspending an employee without pay for four months. As explained in the previous section, there are many different possible ways that an employer could illegally retaliate against you within the employment context. It is impossible to cover every situation involving adverse employment actions. Retaliation can take the form of staffing changes after you return from FMLA leave. The FMLA requires an employer to allow you to continue working in either the same position you left or in a substantially similar position. Are now required to do things in your new position that you were not before such as lift heavy objects or work in a position where you are on your feet all day. 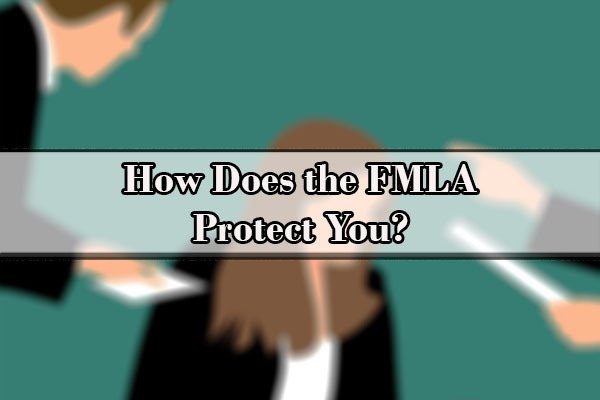 How Does the FMLA Protect You? The FMLA provides qualifying employees with up to 12 weeks of unpaid, job-protected leave each year. All 12 weeks do not need to be used at the same time and employees can take FMLA leave on multiple different occasions as long as they do not exceed a total of 12 weeks of leave over the course of the year. Employees can use leave only as needed (often referred to as “intermittent” leave) and must return to work as soon as they are able. If an employee takes more leave than allowed under the law, the employee can legally be fired. It also requires that qualifying employees’ group health benefits be maintained during the leave period. The FMLA is intended to assist employees in balancing their work and personal life responsibilities by allowing them to take short periods of unpaid leave for family and medical reasons. The law was also drafted narrowly to accommodate an employer’s business interest to avoid overburdening an employer in the marketplace. Medical emergencies and the provision of medical care for an immediate family member (spouse, child, or parent) with a serious health condition. An employee is eligible for FMLA leave if he or she has worked for the employer for at least 12 months and has worked at least 1,250 hours over the past 12 months. There are many reasons that employees may take FMLA leave. Many of these reasons will be due to sudden medical emergencies, whereas others may be planned events such as a pre-scheduled surgery. If you have the time to plan medical leave as in the case of scheduled surgery, pregnancy, adoption, or some other known leave date, you will want to discuss your taking leave with your employer’s HR department. This are several reasons for this. First, placing HR on notice will make it much more likely that your employer can plan around your absence, which makes retaliation less likely. Whether your company requires you to use accrued paid time off to cover some or all of your FMLA leave. Whether there is any paperwork that must be filled out. Make sure you complete all paperwork before taking leave. You don’t want the concern of unfinished paperwork hanging over your head. Whether your leave will be full-time or intermittent. Whether a medical certification (doctor’s note) is required. How benefits other than health insurance will be dealt with during leave. If your leave is unexpected, such as in the case of an auto accident or family medical emergency, you are expected to contact your employer and complete any paperwork they need within a “reasonable” time of taking leave. Under the FMLA, a “reasonable time” is generally considered to be a few business days, but the timing will depend largely on the circumstances that required you to take leave in the first place. For example, if your parent suffered a heart attack, you must contact your employer as soon as possible after you take leave or you could be fired for being absent from work. On the other hand, if you are in a car accident and are hospitalized under heavy anesthesia, the FMLA will not require you to sign paperwork for leave time until you are medically able to do so. In general, you should act promptly to notify your employer of the need for leave in conformance with their call-out or leave request procedures if possible. If you simply cannot comply with the employer’s procedures, take the steps necessary to get in touch with the employer as soon as possible, even if you need to ask a third party (such as your spouse or parent) to assist you by calling your employer. As stated previously, the FMLA guarantees that when you return from leave, you will either get your same job back or some equivalent job. However, that does not always happen as expected. This is probably the most shocking part for most employees. Employees expect to return back to the exact same job, at the same desk, with the same view, but the law does not ensure that. The law only says you must be restored to an equivalent job. The department you work in and the office space you have may change, but your employer must provide the same pay, benefits, and employment conditions. Additionally, you cannot be stripped of any benefits that you earned or were entitled to before you took leave, such as seniority benefits or a pension plan. If you have experienced any type of job displacement or demotion after returning from medical leave, you may be a victim of FMLA retaliation. The first thing you need to do is document the details of the actions you believe constitute adverse employment actions and those involved with them. Then, you should contact a wrongful termination lawyer. 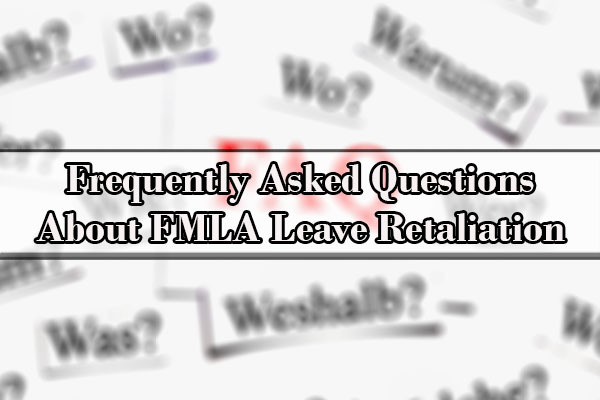 Q: What is FMLA retaliation and how do I know if I have been retaliated against? A: Retaliation is an illegal practice in which an employer takes an adverse employment action against you for taking FMLA leave. If you return from leave to find that your job has been eliminated, your pay has dropped, or you are asked to perform a different kind of work than previously, you may have a case for FMLA leave retaliation. Q: How can I prove FMLA retaliation? that the adverse action was caused by retaliation. 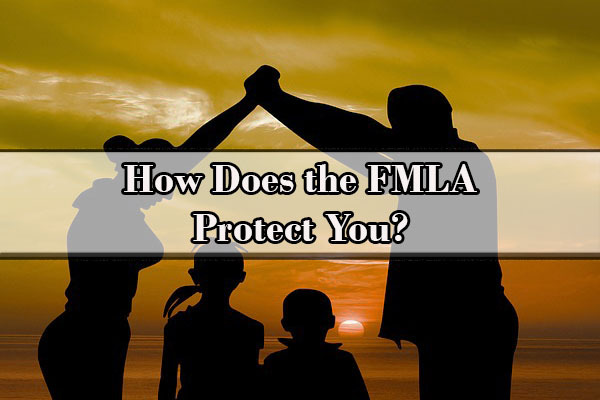 Q: Who qualifies for leave under the FMLA? A: Only employees who have worked for their current employer for at least twelve months and who have worked at least 1,250 hours in the last twelve months qualify for FMLA leave. Q: How can I structure my FMLA leave time? A: Each employee receives a total of twelve weeks of unpaid medical leave each year. Those 12 weeks may be taken simultaneously or may be taken intermittently. Q: What counts as an adverse employment action? Q: What government agency is responsible for enforcing the FMLA? A: The U.S. Department of Labor is responsible for enforcing the FMLA. Each state may have additional medical leave rules applicable to your state. In New York, paid family leave is enforced by the New York Department of Labor. Q: When should I tell my employer about taking FMLA leave? A: As soon as you can. The sooner you tell your employee before you take leave, the more time your employer has to prepare for your absence, which will reduce the risk of any retaliatory action. If your leave was taken for emergency reasons, call, email, or text your employer the details of your anticipated leave as soon as possible. Q: What should I do if I have been retaliated against? A: First, preserve evidence, meaning keep any emails, letters, or other evidence of the retaliation safe. Second, contact an employment law attorney before discussing your legal claim with your employer. While few employees expect the workplace to look exactly the same as it did before their medical leave, many employees return to work to find their hours cut, their wages decreased, or their positions changed. These types of serious adverse employment actions could serve as the basis of a lawsuit. If you have experienced unlawful retaliation, you should contact an attorney to discuss your possible legal claim. Have you ever had a bad experience after taking medical leave? Do you know anyone who has lost his or her job or returned to work with a reduced salary after taking medical leave? If so, we would appreciate the opportunity to hear your stories. Disclaimer: The information on this webpage should not be considered legal advice. Every case is different. If after reading the article, you have questions, you should call an experienced labor and employment attorney.